It didn’t take Tim Cook long to make his first move as chief of the iGadgeteers. Today, Apple announced the promotion of former Vice President of Internet Services, Eddy Cue up to Senior Vice President of Internet and Software Services, reports 9to5Mac, which republished an internal memo announcing the move. As Cook’s first move, the promotion gives us a first look into a Jobs-less Apple trying desperately not to lose its Jobs-induced magic. Cue’s move also signals Apple’s commitment to the cloud. Cue will now control Apple’s entire cloud-based operations, including the iTunes Store, App Store, iBookstore and iCloud services. “He’s clearly going to be a key figure for Apple’s future going forward, because he has stewardship over iCloud.” If he can work any of the game he used in spearheading the iTunes and App stores, iCloud should be in pretty good hands. 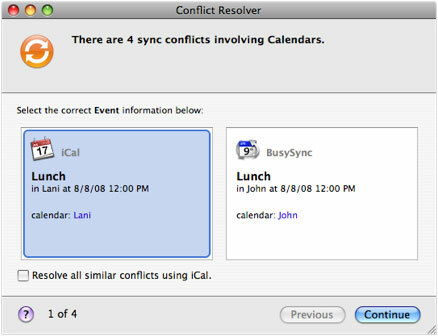 But, if he takes any direction from his MobileMe days, which had a disastrous launch and “was widely criticized for connectivity and dependability problems,” as GigaOm’s Darrell Etherington points out, the cloud might have a rockier path. This is likely just the first in many management moves, but Cook’s wasting no time as he tries to move Apple forward without losing too much of its past. 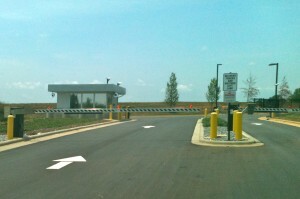 But before leaving town I was determined to scope out that $1 billion Apple data center in Maiden, NC. So I drove over, took some pictures, and talked to folks at the convenience store down the road. My conclusions from this unscientific research is that the giant Apple facility is mainly empty. It’s a huge building filled more or less with nothing and why Apple built it that way frankly escapes me. Maybe it’s just a shot across the bow of Google and its $650 million data center in South Carolina. Now Google isn’t Apple. Google is continually indexing the whole darned Internet, runs the biggest e-mail service, and many other services, not to mention all those ads. You can see how Google would require lots of data storage and servers to handle it. By now Google must have over a million servers and a very elegant way to manage them. But even Google’s million servers would require only 13.9 percent of Apple’s data center capacity. So what is Apple doing with such a big building? I can’t imagine a workload that would need even a tenth of that data center. So here’s my guess: I think it’s a joke. The building is a near-empty facility built primarily to intimidate Apple competitors. And so far it seems to be working. Wow. Did a well-known tech columnist just allege that Apple built an enormous fake data center? 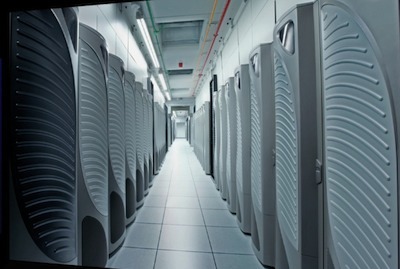 And, in essence, accuse Steve Jobs of modeling data center vaporware when he showed off pictures of server rooms filled with gear at the recent WWDC? Cringely’s been half-nuts for years. Now I think he’s full-nuts.